You can travel to 15 European capitals without breaking the bank! WE ALREADY know that traveling by bus is the greenest way to travel, but now have proof that it is also the cheapest. 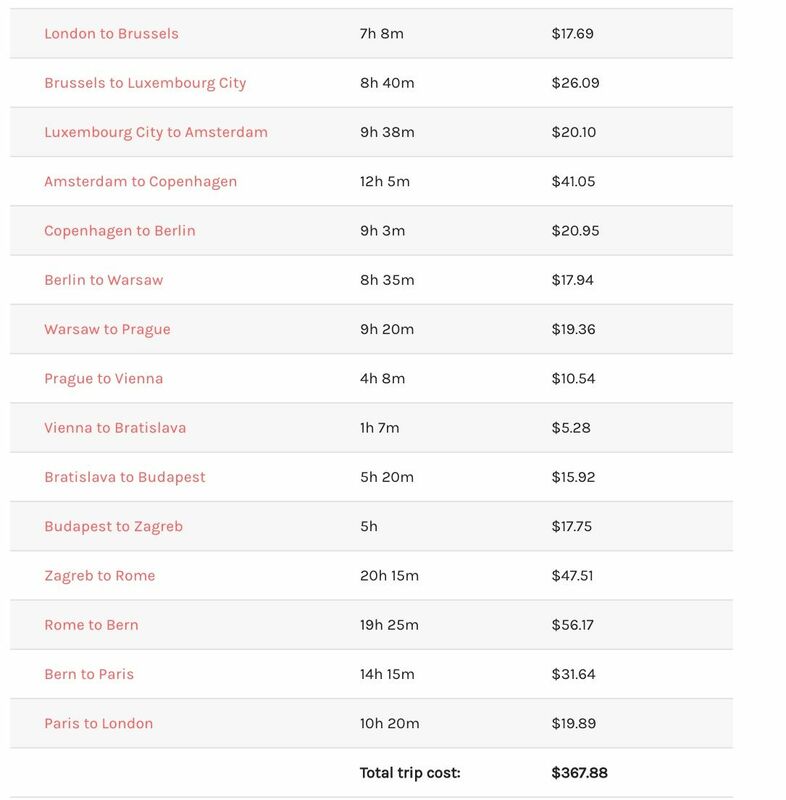 Wanderu, a new bus-and-train travel booking site, created a multi-city journey to 15 European capitals for less than $400 if you plan in advance — if not, the price is closer to $600). For those of you not interested in such an intense trip, Wanderu is still an amazing resource to find cheap bus and train tickets. For example, you can find a bus deal from Paris to Amsterdam for $20, and there are trips from Berlin to Vienna going for about $23.